Three aromatic parcels; Pinot Gris, Riesling and Gewurztraminer, were selected and harvested together. The fruit was crushed, de-stemmed then gently pressed, with the free run juice going to a stainless tank and the pressings portion going to a 1000L French oak oval and a selection of old French oak barriques. The free run juice in the stainless steel tank was settled for 72hrs and then the clear juice was then racked off to another stainless tank for a long cool fermentation to enhance the pure fruit flavours. The pressings portion in oak went through a natural fermentation and the french oak oval and barrels were stirred twice weekly post fermentation to develop structure and texture. Upon achieving a finely balanced blend, the wine was stabilised and filtered prior to bottling. 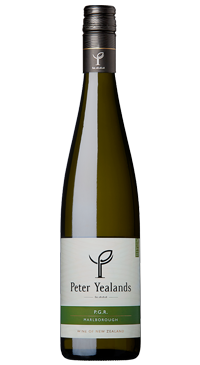 This is an aromatic blend of Pinot Gris 45% Riesling 40% Gewürztraminer 15% brimming with concentrated notes of lychee and pear, with underlying flavours of lime and mandarin and a touch of spice and ginger.